Two of the places we took our niece Daisy to one afternoon were South Mountain Park and the Heard Museum. South Mountain Park encompasses three mountain ranges and is one of the largest municipally operated parks in the United States. It also has over fifty-one miles of trails for hiking, horseback riding, and mountain biking. But it's also the best destination of a leisurely drive to see fantastic views of the entire Salt River Valley. 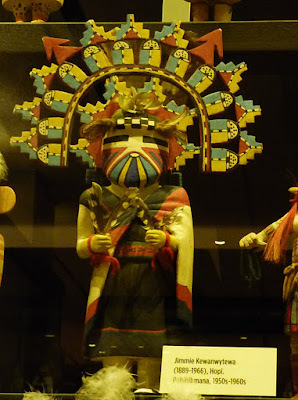 The Heard Museum is internationally renowned and dedicated to the advancement of American Indian art. It has some absolutely fabulous collections, and it had been too long since Denis and I had been there. Daisy's visit was just the right excuse for us all to go. 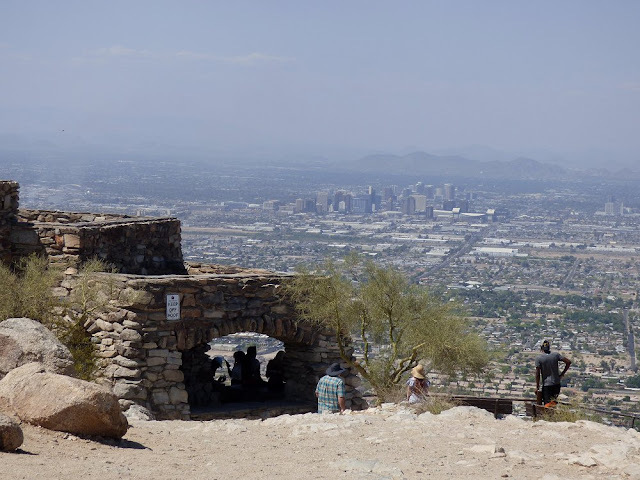 I'm only going to show one photo of South Mountain Park. There was a huge fire that made everything hazy. If you look closely enough, you'll see a man and a young woman wearing wide-brimmed hats heading for the view. That'll be Daisy and Denis. 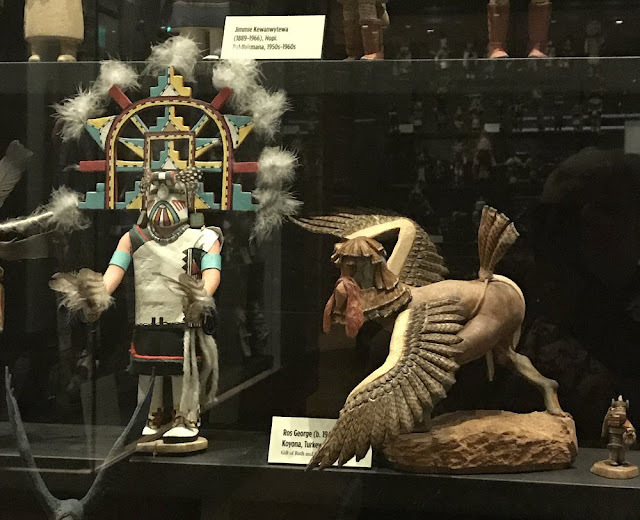 As for the Heard Museum, the picture quality isn't of my usual standard because the glass used in the exhibits is highly reflective, but I do hope the photos I've chosen will give you some idea of the treasures this museum houses. Enjoy! 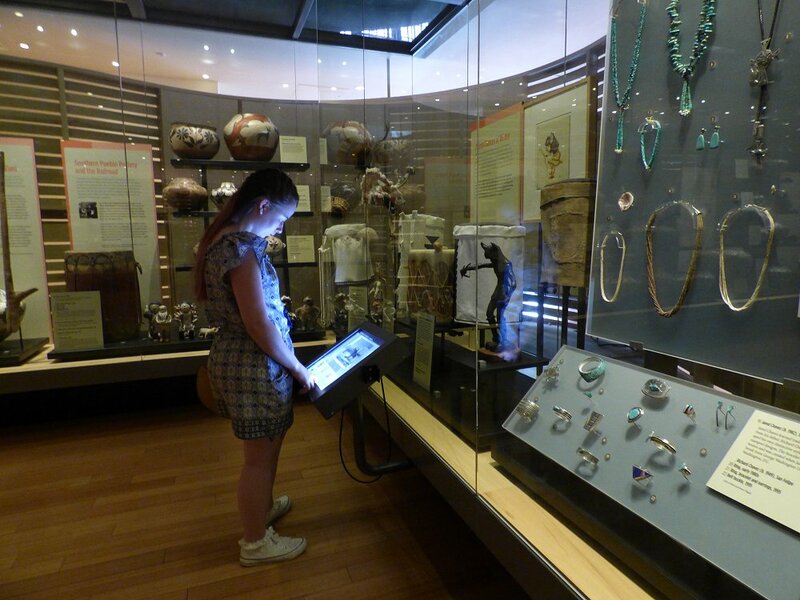 Daisy checking out one of the exhibits at the Heard Museum. 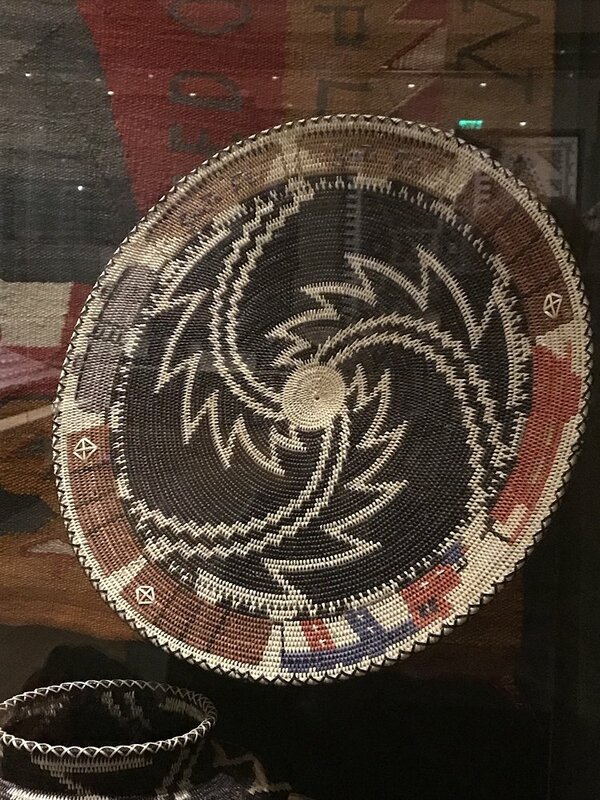 The Apache make superb baskets. 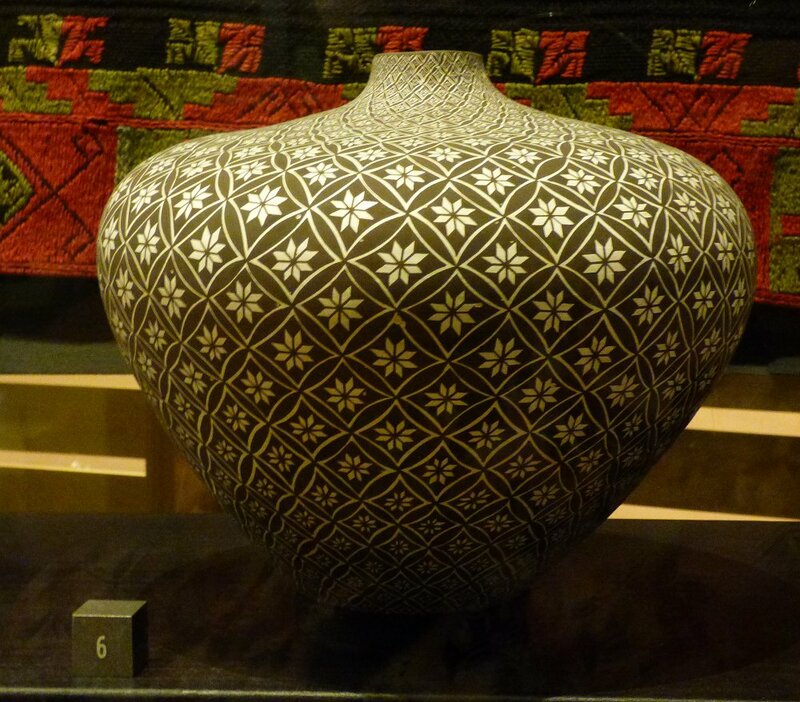 One of the many examples of pottery. 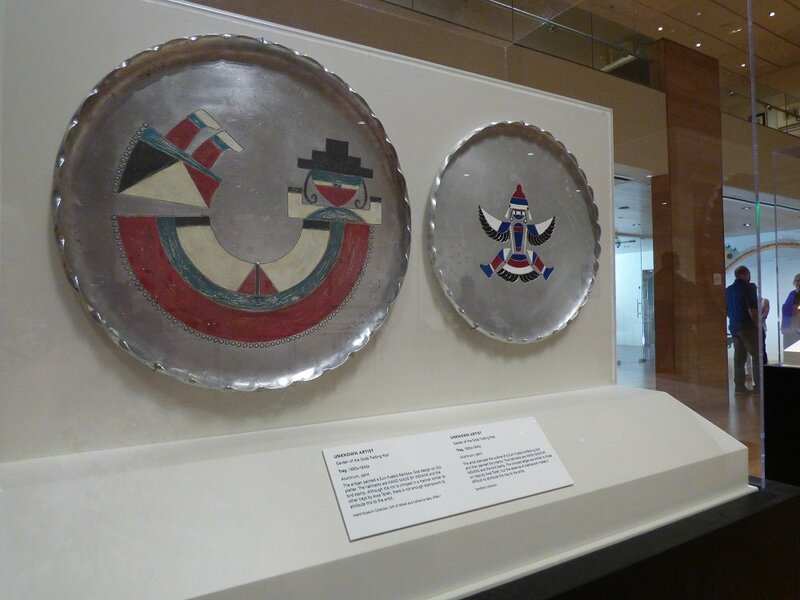 Silversmiths make more than just jewelry. 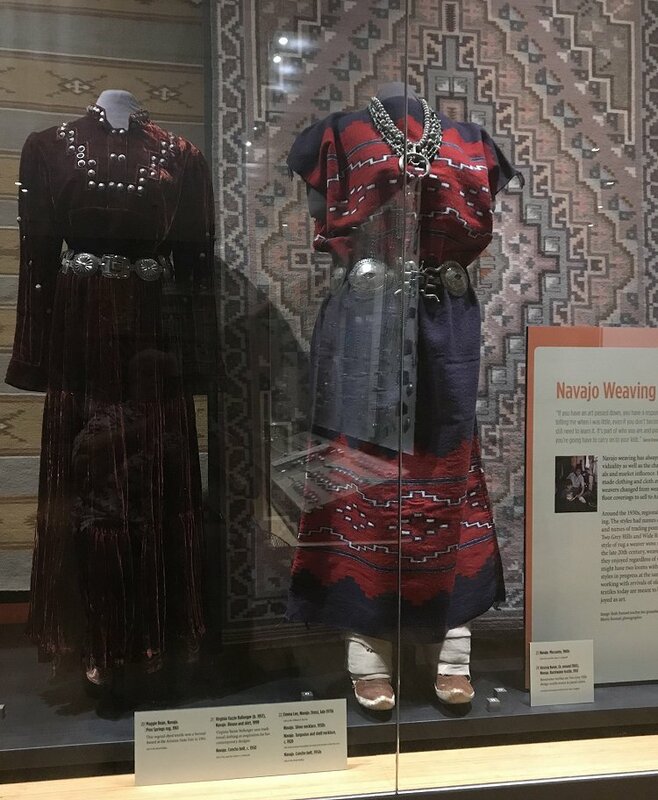 Traditional clothing worn by Navajo women. 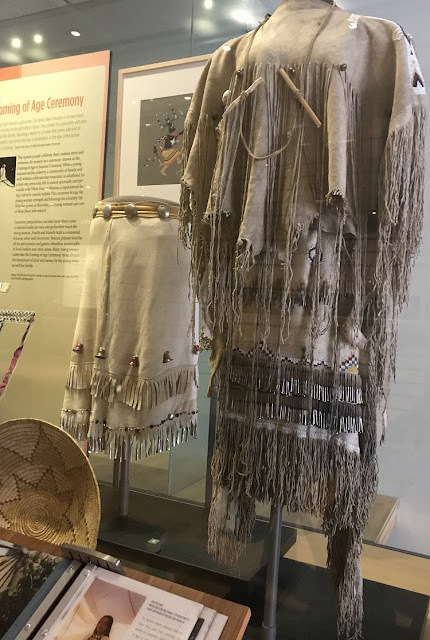 Traditional clothing of some of the Plains tribes. Part of their fabulous collection of Hopi kachinas. Gold & Garnets used to be my favorites until I moved to Arizona! 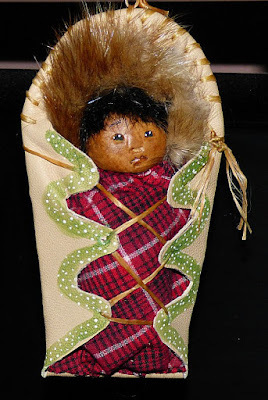 Of course, I stopped at the gift shop & now have new handcrafted Christmas ornaments! 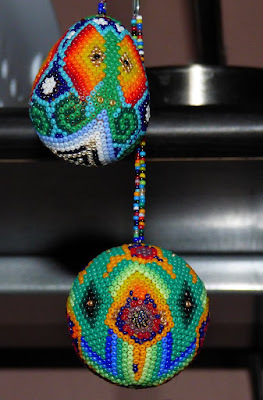 The beads used to make these are practically microscopic! I hope you enjoyed our afternoon out. I still have a butterfly conservatory, an aquarium, and an old ghost town to share with you all. Stay tuned! Wow! You guys saw all kinds of things. I want to visit those trails and view next time we are in your area. My husband just got home last night from a golf trip to Phoenix. It was a bunch of guys and the PP wasn't having anything I was interested in, so I didn't go with him. Maybe next year - earlier in the year. I hope you can make it; I'd love to see you! You always do such fun, interesting things with Daisy! What a trip! 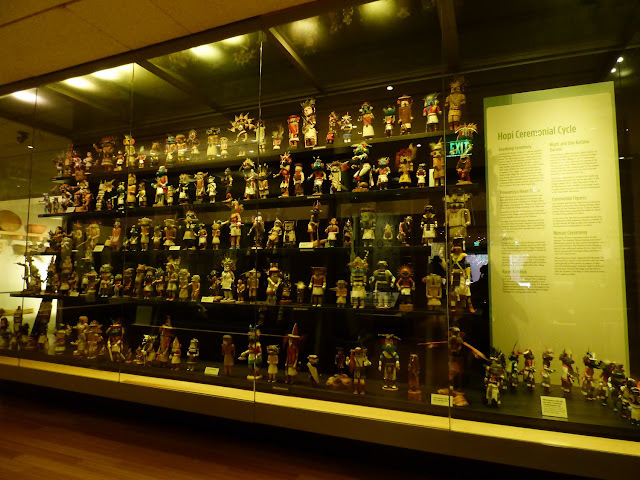 I have never seen so many kachina dolls in one case! 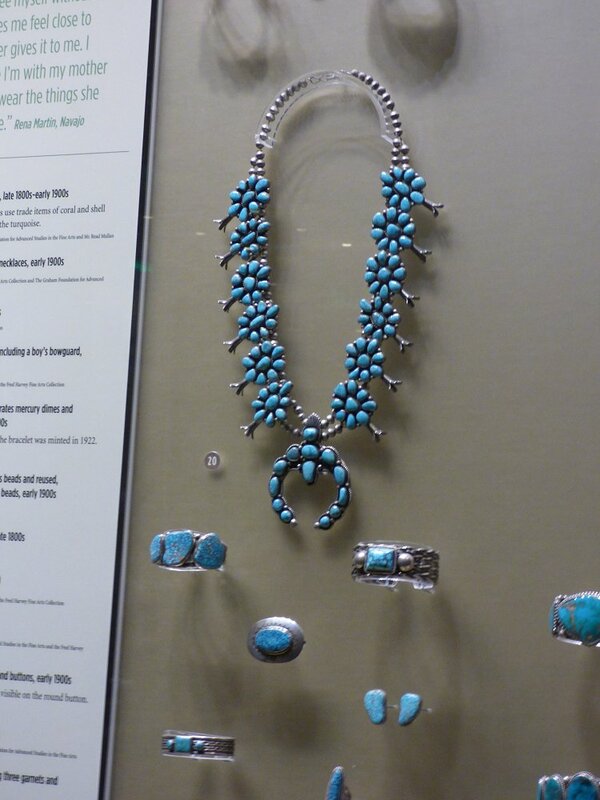 And the jewelry is beautiful. 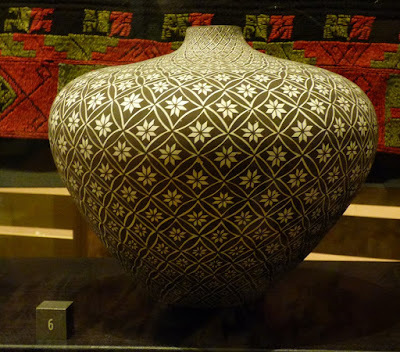 What beautiful crafts and clothing are displayed. 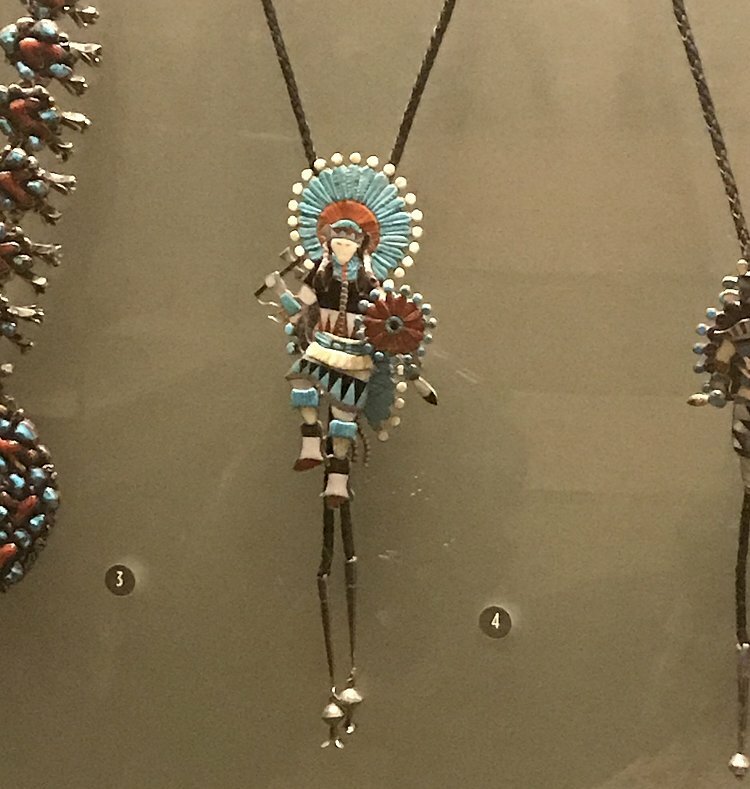 I look at the clothing and wonder how the women made them. Out of what cloth? Without needles and thread? How did they do it? The baskets are lovely, too, and the dolls. And, Daisy, as always is a role model adventurer. I think that spirit will always be with her. 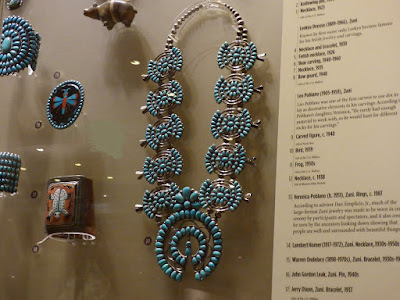 And, also, turquoise rules! 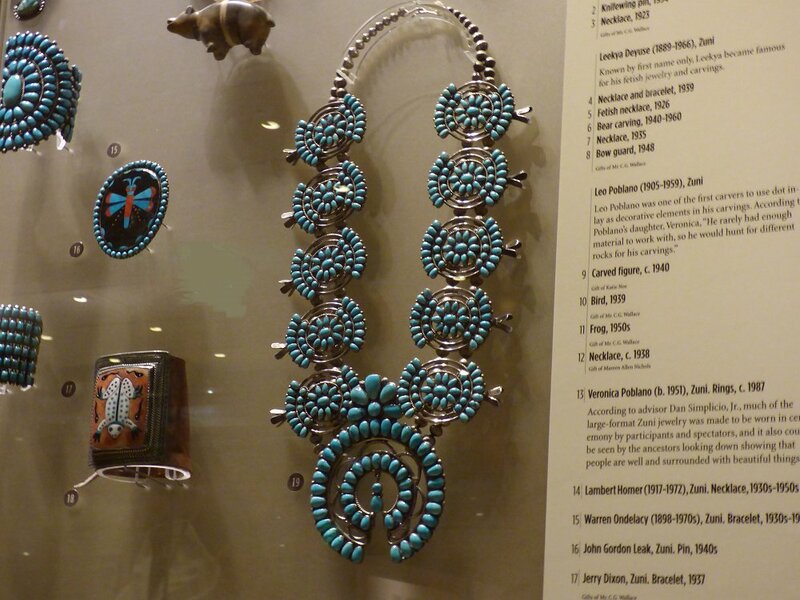 I've always loved it, having had a family (aunt, mother, grandmother) who loved Native jewelry. 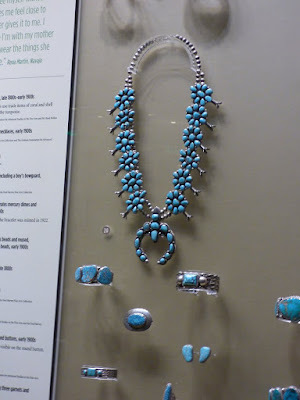 I wear very modest turquoise jewelry a lot.